Vicki and John Zerbee helping you live younger longer. 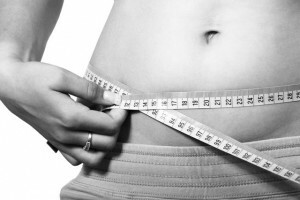 Did you know that one of the common disadvantages of a gluten free diet is gaining weight, specifically in your belly? Do you eat gluten free foods? If so, because you have celiac disease or for another reason? Personally, I eat gluten free when the foods that I want to eat are made gluten free, and then sometimes I look for gluten free options for foods that might not be agreeable to my digestion. I don’t have celiac and may not even have a gluten sensitivity, but I do have some unwanted reactions such as bloating or stomach discomfort to some foods with gluten. 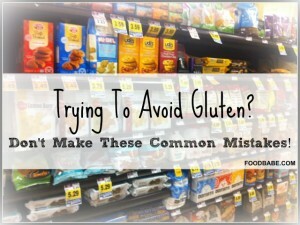 Today I am sharing The Food Babe’s article, Trying to Avoid Gluten? Don’t Make These Common Mistakes! because there are apparently some bad things going on in the gluten free industry. Is the food industry trying to ruin a health trend; and, more importantly, hurt people that really do have a real problem with gluten. Now whether you are a fan of the Food Babe or not, because she definitely has people that are not (she takes a lot of companies to task), she does bring up issues worth learning more about. Maybe she’s not 100% accurate, maybe she is. The point is that she asks food questions that we should investigate on our own. The potential problem is the numbers of gluten free products being made now, and the fact that many are bad food choices. I get the feeling that it’s like the vitamin industry, and companies making products that aren’t good quality, are not natural ingredients, have added chemicals and sugar and artificial ingredients that aren’t healthy, and worse of all can end up hurting you. So I guess it’s up to each of us to do our own research and read labels, look at ingredients. It’s disappointing that the ‘healthy aisle’ in the grocery store is not always full of healthy choices. When you stop and think of it, there is a challenge making anything in a package ‘healthy’, because it’s not fresh or raw. If we want to feel and to be healthy, we have to monitor what we put in our bodies, along with other lifestyle choices. It’s very personal because your doctor isn’t out there researching all of this for you. He or she may not even be aware of problems with foods, and doctors are still primarily focused on treating illness. It’s up to you to be your own healthy advocate. One company that I trust is Shaklee. My breakfast almost every day is a Life Shake or a Protein Meal Bar that just happens to be gluten free. I don’t eat it because it is gluten free, but because it is a healthy breakfast that gives me lots of protein, some fiber, the nutrition I need for the meal, and because it’s made by Shaklee. *This article is part of our series on sharing health information that we find around the web that’s good to know as we look to make good food choices that help us stay feeling young, healthy and energized as we age. Our blog posts contain affiliate links, which means we receive a small commission, at no extra cost to you, if you make a purchase using this link. We welcome talking with you about anything you see on this site that interests you! We got this tool primarily to use at night before bed. We use it on the back of our neck for a few minutes and then do the abdomen pressure points for stress relief and to help get the best sleep. Both are explained in the booklet that comes with it or message us if you have any questions. Visit Vicki Zerbee's profile on Pinterest.